"Chicken breasts with black beans, corn, chile peppers, tomatoes. Low-fat, easy and quick. Serve over hot cooked rice if desired." 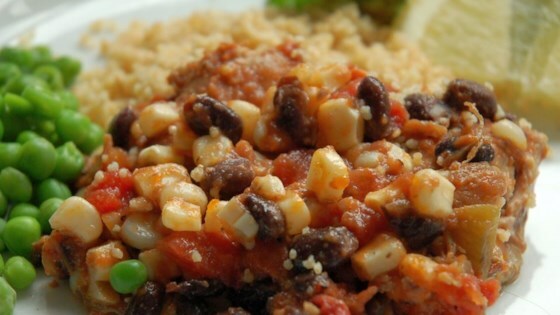 Healthy, hearty Southwest chicken with black beans, green chilies, and corn. I felt this was rather bland.